The big batch of chicks arrived yesterday after several days of constantly checking the USPS tracking log! All of them arrived alert and oriented and they have been drinking and eating. Upon arrival to Owlcatraz, each chick had her (hoping they’re all ladies) beak dipped in water to encourage intake.) We added just a little sugar to their water to give them a boost after their journey from Iowa (Murray McMurray Hatchery) to Pennsylvania. These chicks have already had a busy first couple of days, take a look at this video giving a tour of the hatchery where they were born. There are 27 chicks total in this order; with breeds ranging from brahma to polish chicks to Jersey giants and more! Our friend, BigFootFarmer, took home a couple of chicks to add to his flock too. The family is thrilled to be able to watch these gals grow! Hopefully our matriachs (Isabelle, Pearl, Nugget and Truck) will welcome them into the flock in the coming months. Check out the stoic stare on this Polish chick! The temperature in the brooder will stay between 90-95 degrees for the first week and drop 5 degrees each week afterwards. The larger bantams we have (brought home a week ago) are in a different brooder for the time being. The chicks are eating a commercial chick starter and we will sprinkle some chick grit on their food after the first week or so. Does this sound familiar to my fellow chicken hoarders keepers, “We need a bigger brooder (or run, coop, farm, etc)”? Over the weekend, the kids and I took it upon ourselves to take over a wood bin, made of pallets in the garage. Since we won’t be storing wood in it during the spring and summer months, it will make a perfect brooder for the chicks when they are a few weeks old. We purchased some hardboard tempered panels from Home Depot, lucky for me, the measurements were close to the inside of the wood bin, making the need for cutting minimal. So far, our first batch acclimated nicely to their brooder box and have been doing well in the bigger brooder since being switched over. Another batch of chicks will be arriving tomorrow or Wednesday and we wanted to start them in the smaller brooder. Yes, that is a “jungle gym” for the chicks. They seem to enjoy hopping up and down on it so far, gives them practice for roosting. (Pardon the fuzzy, red images.) Who can resist these adorable bantams? Our next batch is a special order from Murray MCMurray Hatchery and will include some polish chicks, brahmas, and Jersey giants – with a few extras thrown in. Since part of our order was a mix, we won’t know until the chicks are a few weeks old what we have. 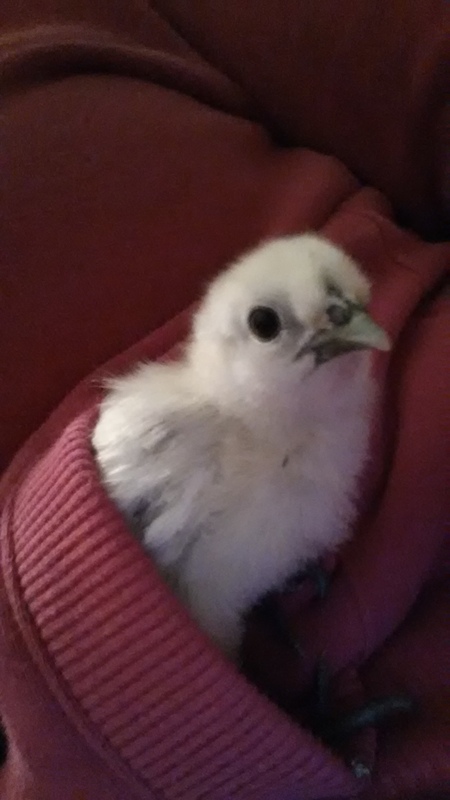 Stay tuned for more chick pics! You may have heard (or felt) that spring is just around the corner (thank goodness). That means chick season! We were fortunate to receive an incubator and brooder from our friend at Anthracite Pavement Markings. A pre-made brooder just perfect for newly hatched chicks! Did I mention Tyler gave us a couple waterers and a feeder? #blessed. 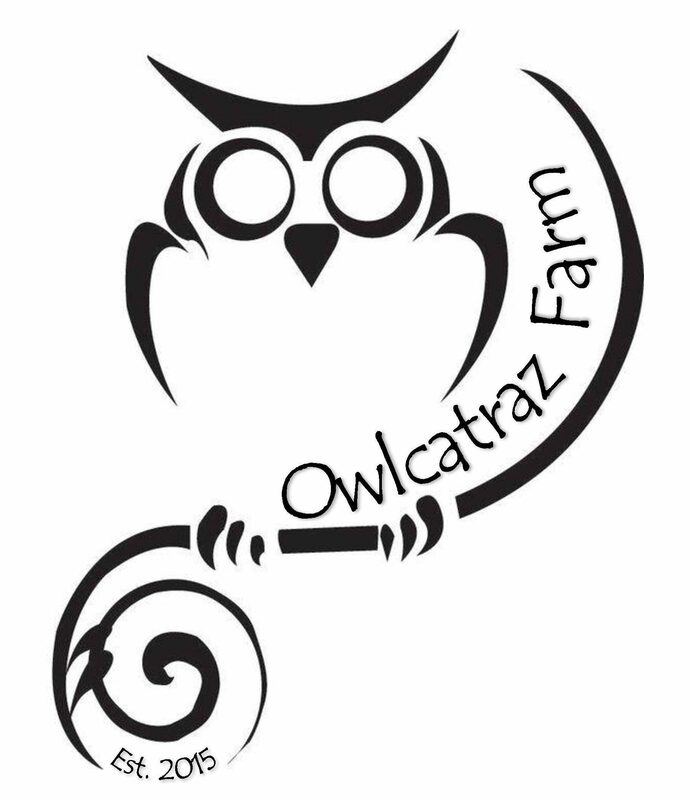 Our dream of Owlcatraz Farm is made possible by our truly amazing family and friends. Then you’ll want to spend hours reviewing chicken breeds online and in your chicken catalogs until settling on the perfect mix. Next, wait impatiently for several weeks until they arrive. In the midst of waiting several weeks for your chicks to arrive, don’t go to Tractor Supply. For once there, you will get pulled into “Chick Days” and end up leaving with six bantam chicks. Our first real chicken “emergency” occurred on Friday evening after the kids and I returned home. The hen count resulted in a missing hen and after a few minutes of searching, Dirtbike (yes, she’s a she) was found sitting on the ground in a darkened corner of the coop. I picked her up and could immediately feel an (unnatural) large lump near her vent. I brought her inside and was (horrified) to find a bloodied, red and excrement covered lump under her tail feathers. I started a warm bath and began washing away the excrement in the hopes of uncovering the source of Dirtbike’s pain. The family gathered to help Dirtbike relax. She was obviously uncomfortable and had probably spent the better part of the day in pain. A tell tale egg was found on the floor of the coop (with some blood on it) and was probably Dirtbike’s final legacy left to the family. In the midst of attempting to clean Dirtbike I contacted my chicken mentor, BigFootFarmer, who reiterated my suspicions that this occurred before or during her egg laying and there might be a need to ease Dirtbike from her misery. Next I checked out the Chicken Chick’s site (she’s basically an encyclopedia of all things chicken). *Note, it is so important to have a “farm” first aid kit stocked and ready to go. If you don’t have one, get one. You’re going to need it someday. I continued to clean the area while Dirtbike remained rather sedate during all of the attention. However she continued to lose blood and was unable to stand on her own after a big. The decision was made to say goodbye to one of our founding hens and help her cross the rainbow bridge to that great big chicken coop in the sky. Photo was taken post bath, outside. Dirtbike had crossed the chicken rainbow bridge. Have a flock of hungry chickens? Go find some abandoned pumpkins after the fall decorating season / Halloween. Not only is it cheap entertainment to see them dunk their heads in a giant pumpkin, its good for them too! Have some restless kids in the house? Give them a hammer and tell them its their job to split the pumpkin in half for the girls. Win / Win. Having this varied food source not only provides a boredom buster for the birds, pumpkin seeds could also be an excellent natural wormer. Or so I’ve heard. By asking family and friends for their abandoned pumpkins, we had quite the collection that lasted us for many weeks. Anything that turned black or moldy was thrown onto the compost pile. The prized coop of Owlcatraz is still having some finishing touches put onto it. (Have I ever mentioned how handy my husband is?) There has been quite the adventure in ordering shingles (because they had to match the type on our house…which will inevitably have to match the type on the barn). Word to the wise, if you’re specialty ordering shingles, don’t be in a rush. I don’t think the hens could really give two shits feathers about the shingles, but they at least pretend to be interested.